— Saturday, I make my return to 92YTribeca to host another edition of Movieoke. Yes, Movieoke—the most fun you can have doing something that ends with the suffix "-oke." Bring the DVD of your choice, we'll cue up the scene of your choice, turn off the sound and put on the subtitles, and hand you the microphone. And you are the star. Plus, I'll ask you some awesome movie trivia questions. Saturday night, 10:15pm. 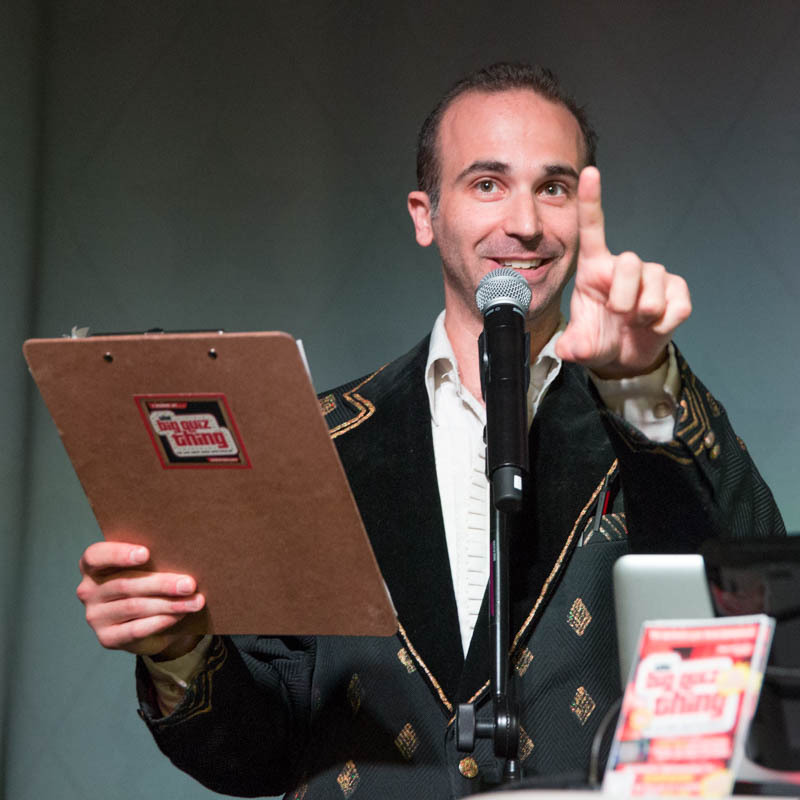 —Monday night, 7:30pm, the Big Quiz Thing is back with live trivia excitement, debuting at a new venue, M1-5, in Tribeca. The place is beautiful, but I must warn you: Seating is apparently limited. Got that? Seating is limited. Which means (a) arrive early/on time to score primo seats, or (b) please don't throw heads of lettuce at the stage if you don't get a seat (showbiz!). Sometimes it gets complicated, friends. Remarkably many interesting and useful!